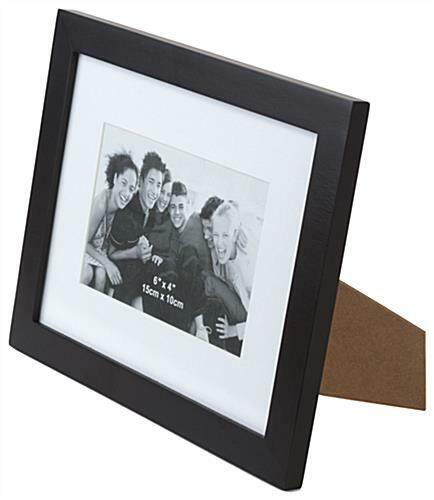 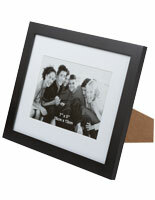 This picture frame is sized for 4" x 6" prints with a black finish. 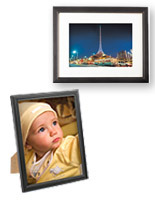 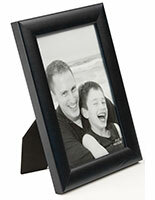 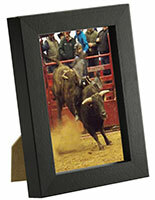 A glass-front photo display, this frame has a classic minimalist style that will complement any image. 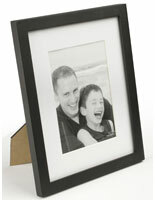 The ooden framing is very durable and stylish, and the basswood construction of this model is no exception. 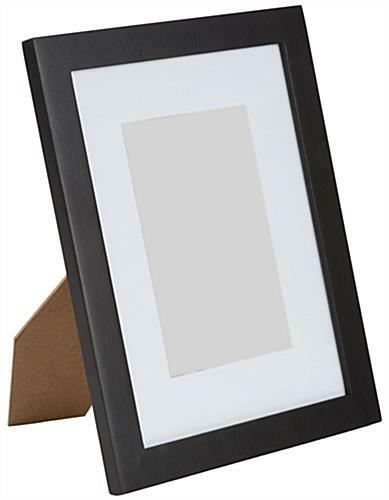 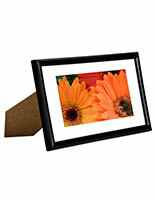 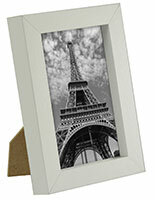 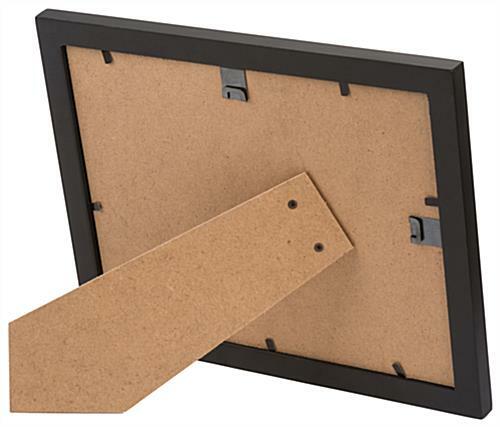 This tabletop picture frame also comes with an easel stand for shelf or countertop display. 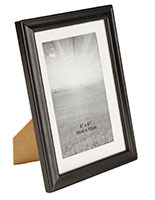 5.0" x 7.0" x 0.625"